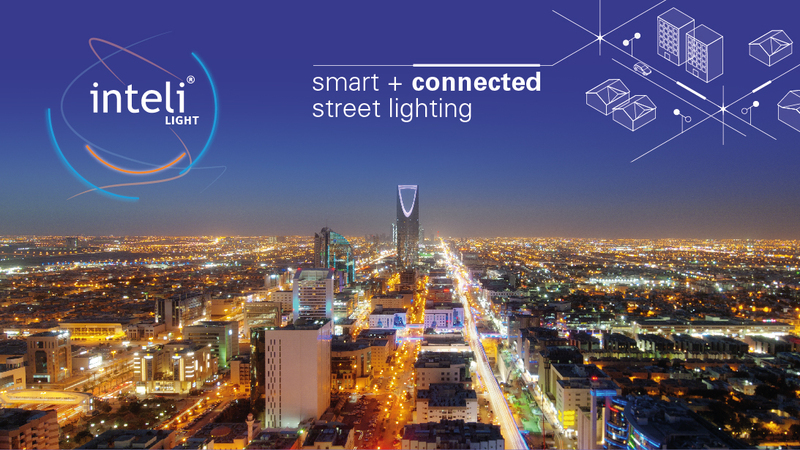 Over 7 years of continuous collaboration between Flashnet and Saudi Delta Co. have now reached a new threshold: with 600 lighting panel control and monitoring units installed in Riyadh in Q3 2018, the entire inteliLIGHT® presence in Saudi Arabia sums now more than 150.000 smart street lamps. Riyadh is also an innovative city, often a pioneer in discovering and integrating new technologies to improve people life and streamline city management. 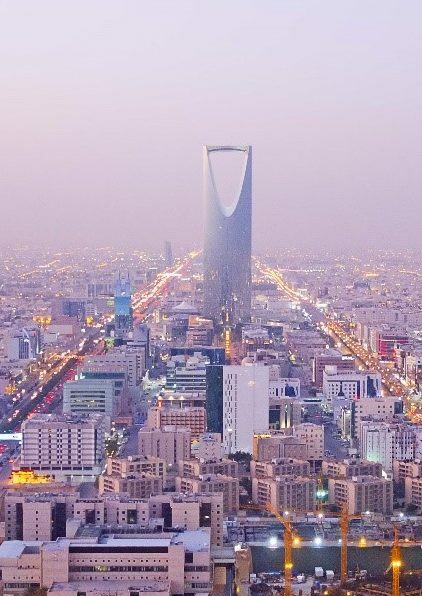 For example, Riyadh is one of the first cities to deploy a large scale smart street lighting control solution. 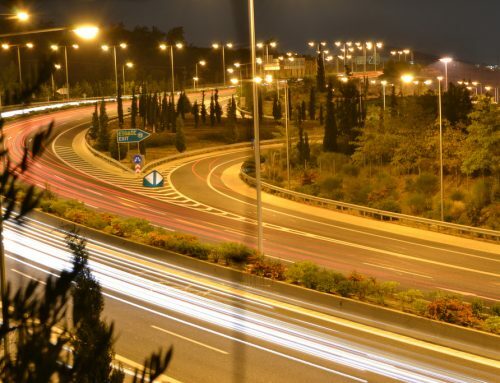 Since 2012, gradually 25000 streetlights and their corresponding lighting panels are monitored and managed with inteliLIGHT® StreetLight Control. Riyadh municipality continues its project to provide citizens with cleaner and efficient street lighting services by replacing the old HID lamps with more efficient and economic LED type and increasing solar energy share in street lighting. 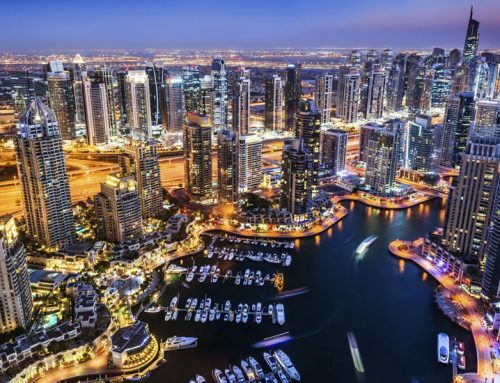 Due to the fluctuating and weather dependent nature of solar energy, the municipality needed to address this unpredictability with rapidly expanding its management capabilities over street lighting grid. 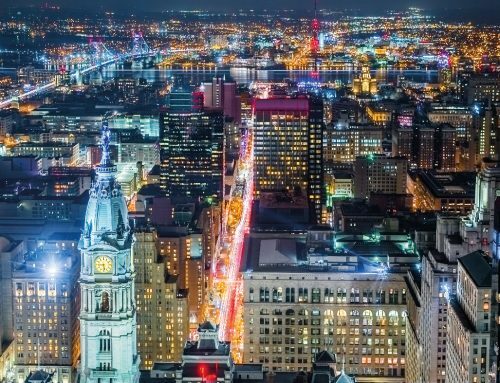 inteliLIGHT® has been supporting the Saudi interest in developing modern technologies with smart street lighting projects for years using PLC (powerline communications) as preferred communication technology, but IoT communications have evolved a lot in the last years transforming flexibility and adaptability in necessary traits of any street lighting management solution. Additionally the new installation needs to be integrated with the existing one so that the use of two or more platforms at the same time to be avoided. Based on the experience gathered on its PLC street lighting installation, Riyadh municipality acknowledged that one of the fastest way to expand management capabilities over the street lighting grid is by using the lighting panel as a “gateway” for all the street lights in the segment. Even if this solution does not offer individual control of every lamp it can provide autonomous operation for the entire street lighting segment based on predefined astrologic calendar and/or external light level sensor (digital INPUT), with remote real-time ON/OFF control and multiple configuration options. Because this part of the project doesn’t include individual control for every lamp, some of the PLC communication specific equipment is no longer needed (e.g. data concentrator) paving the way for the use of other communications technology and reducing costs. The projects developed GSM/NB-IoT/LTE-M communications, for their excellent penetration in dense urban areas, carrier-grade security and proven reliability. For more flexibility and redundancy, the system uses the latest inteliLIGHT features, switching automatically between available communications technologies. It can also function as a failsafe mechanism in case of unforeseen circumstances as for example malfunction of photocell due to weather conditions. 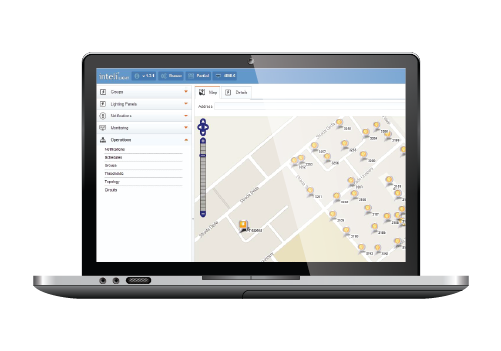 inteliLIGHT® LoRaWAN™ compatible street lighting management solution. 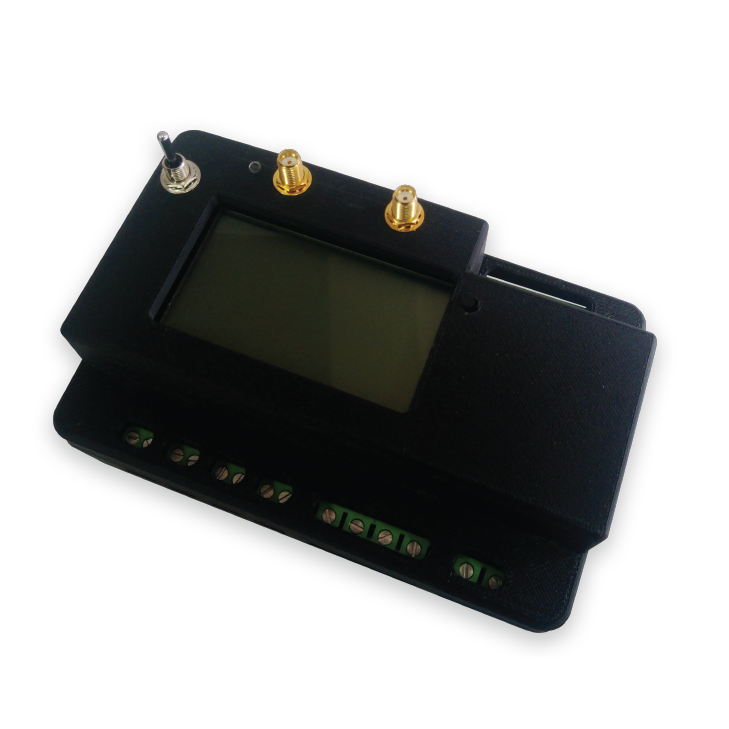 800 FRCMv4 GSM/ NB-IoT/ LTE-M COMPATIBLE LIGHTING PANEL CONTROL & MONITORING UNIT Provides remote ON/OFF lighting panel operation and to carry out measurements and analysis of different parameters in street lighting grids. Under/ overpower monitoring, voltage monitoring, phase failure and daytime/nighttime consumption mismatches are reported in real-time to the central server. Cloud-based inteliLIGHT® Streetlight Control Software, allowing street lighting control, monitoring and maintenance, 24/7 grid monitoring and integration with external applications. The project deployment unfolded smoothly, coordinated by Saudi Delta specialists and implemented locally by Advanced Engineering Solutions Co. During September and October 2018, with FLASHNET remote support available during the implementation. 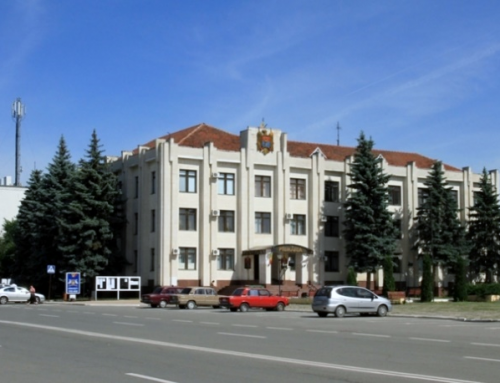 inteliLIGHT® StreetLight Control, the software coordinating the entire project, was installed on local servers and FLASHNET deployed training and coaching personnel to prepare the system’s local operators.